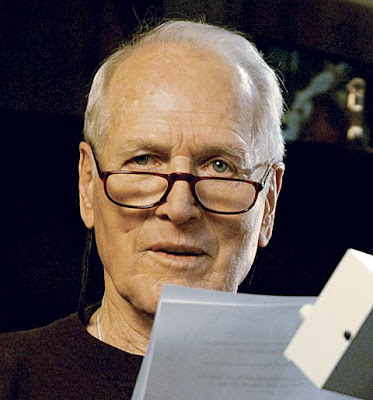 I first met Paul Newman in 1993 at his Hole in the Wall Camp in Connecticut. I was sent there as a volunteer, by Barretstown Camp, so I could help them set up their own camp in Kildare the following summer. Our conversation was brief but I did persuade him to play a game of pool with one of the kids I was looking after. His food company 'Newman's Own' is a great example of a brand that has a greater purpose than just making money. All their profits go to his Hole in the Wall camps. Because of this, I try to buy his sauces where possible. They taste just as good. I think this model of brand should and will play a stronger role. Companies will consider not just the benefits to the direct consumers, but society in general - the likes of Patagonia and Innocent Smooties. I've met him once or twice more over the years and have always been impressed. A friend of mine still works for him and says he is as honest, laid back and authentic as he appears in interviews. I had heard a few months back that he was very sick but read yesterday that Mr Newman has finished chemo and is going home to die, with only weeks to live. I have seen first hand how his camps (funded by his food company) have improved the lives of thousands of children. His brand's greater purpose was to make the lives of very sick children a little easier. A little happier. What more could you ask from a brand?